Out Today! FIGHTING FOR EVERYTHING–Release Day Review and Giveaway! Hi there! Today I’m sharing a cover for a new contemporary romance from Laura Kaye. 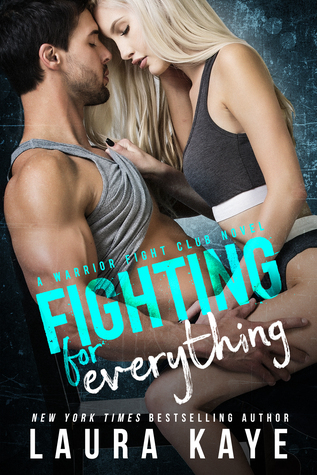 FIGHTING FOR EVERYTHING is the first book in her Warrior Fight Club series. It features a PTSD-plagued wounded vet, and the best friend of his life that he’s fallen hard for. I’ve loved RIDE HARD, and her veteran-centered HARD INK books too. Noah Cortez is seven months stateside after a disability discharge from the Marines. He’d been in the service five years, but a landmine stole his comrades, hearing and vision on the left side of his head. Besides the visible scars, Noah’s battling some pretty intense emotional shrapnel–which is why he’s tried to stay away form his childhood best-friend Kristina Moore. Kristina knows something is seriously wrong with Noah; his lackluster attitude, hollowed eyes and fading body are big clues, but being present at one of his flashbacks is a wake-up call. FOr both of them. Noah’s depression and PTSD have been eating him alive, and he doesn’t want it to ruin his relationships, so he pulls away from everyone, especially when they tell him he’s not the nothing, damaged man he sees in his mirror, and feels in his mind. Kristina, having lived with a parent with mental illness, wants to be Noah’s rock, but a new complication arises: their mutual attraction. They’d never been anything but platonic before, and now? They get steamy–for the moment. Noah’s sure that Kristina deserves better than a broken down, disabled vet, but she knows he’s her everything, and desperately wants to build a life together. Unfortunately, she learns he can’t return her love, not when he doesn’t love himself. This is a great first book in a new series. The friends-to-lovers aspect was handled really well, with all the confusion that it can entail. Noah finds help in unexpected places–art therapy which leads him to fight therapy designed only for military enlisted and veterans. This Warrior Fight Club provides a safe space for Noah to work out his aggression and regain his balance, both emotionally and physically. He knows he probably doesn’t deserve another chance at loving Kristina, but he’s determined to be a better friend than he’d been when he returned home. I loved Kristina, and respected her struggles, and frustration, with Noah’s hot-and-cold attitude. It was great seeing Noah turn his life around, though I wished for a little more insight into his challenges once he started seeking treatment. That said, it’s got an upbeat ending and sets up new characters to carry the series forward. Interested? You can find FIGHTING FOR EVERYTHING on Goodreads, Amazon (US, UK, CA, AU) Barnes & Noble, iTunes and Kobo. 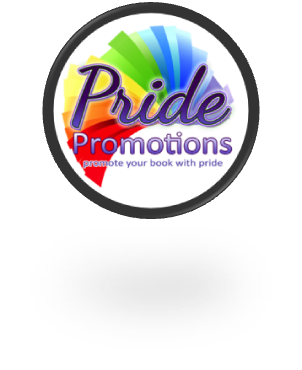 Click on this Rafflecopter giveaway link for your chance to win one of 3 $10 Amazon or B & N gift cards. More Than a WASH OUT–Military Monday Review and Giveaway! Hi there! 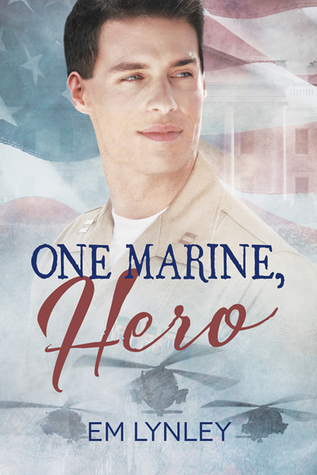 Today I’m sharing a review for a brand new M/M military romance from L.A. Witt. 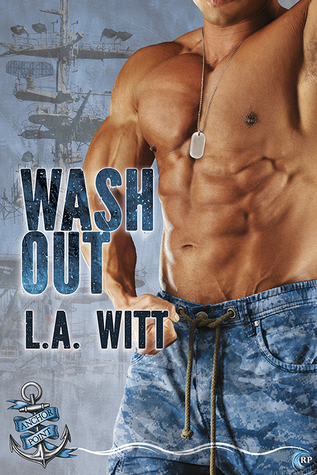 WASH OUT is the seventh book in her Anchor Point navy series. I’ve loved JUST DRIVE, AFRAID TO FLY, CHIEF’S MESS, and RANK & FILE. WASH OUT features a main character that appeared in AFRAID TO FLY, but they can all be read as standalones. Logan Carter is a combat veteran and former Marine who is piecing his life back together. Surviving three combat tours didn’t prepare him for life as a civilian. We met Logan briefly in AFRAID TO FLY as Travis’ drunk boyfriend who embarrassed him at the Navy Ball. He’s been a Navy contractor before, and lost those jobs due to alcoholism–but he’s 6 months sober and in therapy to deal with his PTSD for the first time since he didn’t re-up seven years ago. Travis, good guy that he is, has pulled some strings to get Logan a last-chance job working in the training department, setting up schedules and teaching classes to enlisted sailors. On his first day, Logan meets Gunner’s Mate 2 Casey Olson, a man grieving the loss of his lifelong dream of being a SEAL. He’d passed the many fit tests and even made it past Hell Week in BUD/S training, but a snapped lower leg in a training run on the loose beach sand brought his career to a swift halt. While he’s recuperating now, it’s highly unlikely that Casey will qualify for SEAL training due to this injury, and he’s having a hard time coming to terms with it. Still, working in the training division on light duty has it’s benefits. His co-workers are cool, and Logan? Logan is HAWT. Would it be a bad idea to have some fun before he gets reassigned? While Logan knows it’s a bad idea to mess around with a co-worker, he’s been celibate a long time. And, as they build a friendship in the office, the undercurrent of attraction grows. After a particularly hard day for Casey, Logan’s sympathy is more temptation than they can take, especially when a kiss follows the embrace. But, are they making a big mistake, or stepping into their future together? There is a lot of awesome details in this book about combat vets and dealing with PTSD. I liked the day-to-day of it, getting into Logan’s head and seeing his issues up-close. It was also interesting how the fictional administration had made specific plans to ensure the personnel had safe spaces in which to work. I hope this is a true look at the reality of life for persons in the military, but I have to guess it’s not a complete picture. We get some deep insight into therapy, as well, and seeing Logan cope through his art was cool. Casey’s heartbreak was palpable, and his frustration at being consoled felt real. There was a moment near the end where he reached an unfortunate boiling point, but it marked the necessary turning point for communication between Casey and Logan. Because they had long passed the point of casual lovers into true boyfriends. I liked this one lots, and found the scorching sexytimes highly satisfying. Interested? You can find WASH OUT on Goodreads, Riptide Publishing, Amazon, Barnes & Noble, iBooks and Kobo. I received a review copy via NetGalley. Click on this link to comment over on Book Reviews and More by Kathy to enter for a chance to win 2 backlist e-books from L.A. Witt. Gook luck and keep reading my friends! 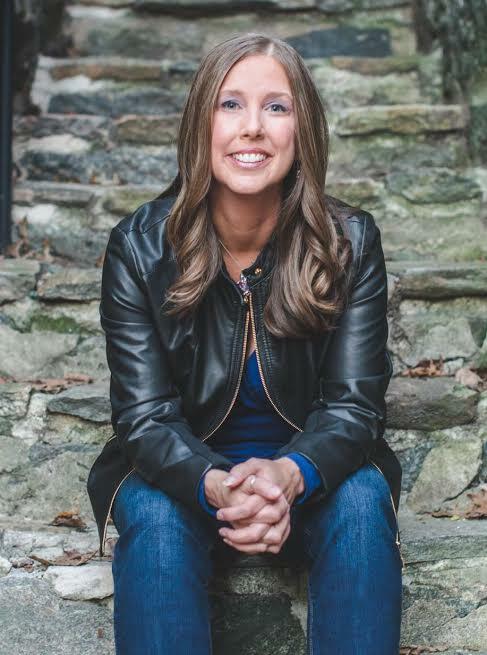 Lauren Gallagher is an abnormal romance writer who has recently been exiled from the glittering utopia of Omaha, Nebraska, to an undisclosed location in South America. Along with her husband, a harem of concubines, and a phosphorescent porcupine, she remains, as always, in hiding from the Polynesian Mafia. For the moment, she seems to have eluded her nemesis, M/M romance author L.A. Witt, but figures L.A. will eventually become bored with the wilds of Spain and come looking for her. And when that time comes, Lauren will be ready. Assuming L.A. doesn’t have her hands full keeping track of Lori A. Witt and Ann Gallagher, which she probably will. Hi there! Today I’m so excited to share my review for THE ART OF HERO WORSHIP a contemporary M/M romance from Mia Kerick. This is the first New Adult novel I’ve read from Ms. Kerick and I was definitely pleased. Catch my review and get in on the $25 Amazon GC giveaway below. College freshman Jase and his bestie/newly ex-girlfriend Ginny are at a Hamlet play when a shooter opens fire on the audience. Ginny is killed instantly and Jase is immobile with fear, sure that the shooter will get him soon. Then, a burly fellow student not only covers him with his body, he pulls Jase to safety. Liam, his rescuer, is a junior, and knew the shooter through mutual classes. As the boys flee the scene, they hope that he danger is behind them. Not so much. While the police attempt to ascertain if Liam and Jase were involved in the shooting, they keep these two sequestered–for their own protection. Jase is terrified by flashbacks and cannot rest, cannot stop reliving his fear, and his failure to help Ginny. Liam is a patient and stalwart companion. Neither Liam nor Jase have ever had experiences with men before, but their shared horror and shock meld them in ways they had never predicted. The comfort that Liam provides Jase is only temporary, however. Jase leaves school before the end of term, without even saying goodbye to Liam. He’s haunted by visions of the shooter, and sinks into deep depression, having PTSD-like panic attacks in his stifling home with his “s”mother. Then, Liam calls. Invites him for a weekend escape, and Jase feels compelled to go. This man saved him, twice, actually. And in those shared nights they find a new normal within their closeness. It’s exactly the break Jase needs to get him to start over–but he’s now freaked out about his feelings for Liam. Both men profess they aren’t gay, have never had attraction or interest for men before–but they are certainly into pleasing each other. For Liam, it’s about protecting Jase, giving him attention, and receiving love and admiration in return. For Jase, he craves the strength, security and devotion he experiences from Liam. Each of these men needs to come to terms with their past–Jase suffers for months from the aftermath of the shootings. Liam’s damage extends farther, deep into his dysfunctional childhood and a tragedy that forever scarred his family. Together, they are strong and loving, but can Jase bear it if Liam continues to strive and save everyone? I really enjoyed the deep probing that Jase does into his psyche in this one. The story is told from his POV and he’s understandably wrecked in the head after enduring so much tragedy. He can’t cope, but being near strong and sturdy Liam helps him to survive the crushing guilt. That Liam’s been dealing with his own survivor’s guilt for the better part of a decade makes him a compassionate partner, but he’s also suffering a hero complex, and it makes him more reckless than Jase can endure. I’ve read some accounts of shooting survivors, and the physical and psychological aftermath is frightening. I felt that same guilt/fear/haunted/PTSD experience in this book, in a way that was completely accessible. Jase is continually assessing whether he and Liam are together because of their shared pain, and he decides that’s likely true, but not a problem. His worship, and later love, of Liam is strong enough to bind them into the future. There’s a bit of sexytimes, but that’s never the focus. Instead it’s the closeness, the protectiveness, the ownership, if you will, that’s developing between Jase and Liam which makes this a passionate book. Love is…WISH FOR YOU–Review and Giveaway! Hi there and welcome to my stop on the WISH FOR YOU blog tour sponsored by AToMR Book Tours. Forother stops on the tour click here. Today’s book is a New Adult romance by best-selling author Marquita Valentine. Well. This book took me through a few really squicky turns. I have a bit of insight into PTSD–family members who suffer(ed). And I also have known quite a few vets who wallow in intoxication, trying to bury their pain. Perhaps that’s why I had such a visceral reaction–because I know how real this experience is for countless men and women who’ve returned from the front lines. At the time we join the story wounded veteran Wyatt is in full wallow. He feels responsible for the death of his battle buddy and has returned home where everyone wants him to be ‘normal’. He couldn’t find normal with a GPS and a set of MRE’s, yet he tries to pretend. He hungers for Lacey though they’ve only ever shared a few kisses. He’s sure he’s not good enough for her–and she confirms that by pushing him away. Booze and pot have helped mellow him out, but, without Lacey, he’s hitting the hard stuff–coke and prostitutes–looking for any release from his pain. Sure, he keeps his weekly appointments with his counselor; therapy only works if you’re honest. And he can’t be honest. Not about the drugs, not about the women, and not about the death of his buddy. Lacey’s tortured by Wyatt’s downward slide. She loves him with every breath in her lungs, but she’s not the girl Wyatt deserves–in her opinion. Oh, and his mother’s opinion, too. See, Lacey’s not-alright. She has all-consuming panic attacks when her schedule deviates. And her schedule is about to get tossed into the recycling bin–now that her family is headed to Turkey as missionaries. Except for Lacey. She’s too old to go as a dependent and now she needs a place to live. Good thing Wyatt has a spare bedroom. Wyatt’s almost a split personality. He can’t bear being just friends with Lacey. His counselor advises that he take whatever connection she’ll offer–and they each try to set the other up with dates. Total disaster, that. Fury drives Wyatt far past his usual binges and he nearly OD’s. Lacey is called in to support Wyatt, allowing his mother the chance to explain how sorry she was for ever questioning Lacey as a mate for Wyatt. Still they have issues to work through. Wyatt needs more counseling, and Lacey’s diagnosis doesn’t help matters. There is a point of compromise, however, and a comfortable solution. It’s not the typical HEA–because we know there will be more bumps down the road–but there is confidence that their future will be good. For me, I had a lot of trouble with Wyatt. He’s stubborn, abrupt and erratic with little consideration for himself, or Lacey. I wished like hell that he’d let go of his (irrational) guilt and just be the kind of guy Lacey needed. As for Lacey, I was a bit stunned how quickly she let Wyatt flop into her bed. 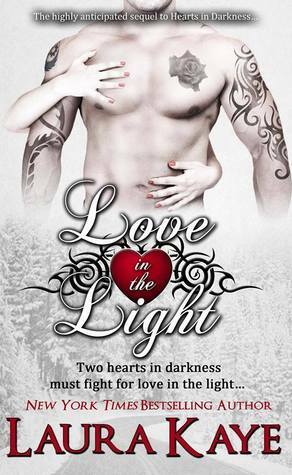 She’s a devout Christian girl, and yes, she loves Wyatt–has for years–but it was lightspeed macking action. Their inability to communicate honestly really gave me (and them) fits. I’m not a huge fan of complications based on dishonesty–not saying that everyone must be candid all the time–I just want more of a romantic hurdle than simply “I can’t tell you the real problem.” Even in his biggest crisis, Lacey had to hear the real truth by eavesdropping before Wyatt would confess. By the end they were actually being truthful, and gained a bit more of my respect. And, Wyatt getting clean helped even more. I think readers who enjoy a good redemption tale will find their wishes fulfilled with this story. Marquita met her husband (aka Hot Builder) at Sonic when they were in high school. She suggests this location to all of her single friends in search of a good man—and if that doesn’t work, they can console themselves with cheesy tatertots. She lives in North Carolina in a very, very small town with Hot Builder and their two children. 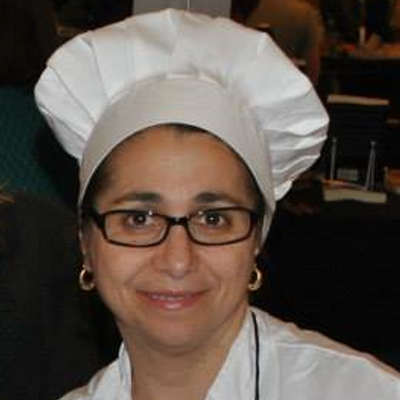 You can stalk find at her website, Facebook or Twitter. To celebrate WISH FOR YOU’s release, you can enter one of two giveaways!! Good luck and, as always, keep reading my friends!